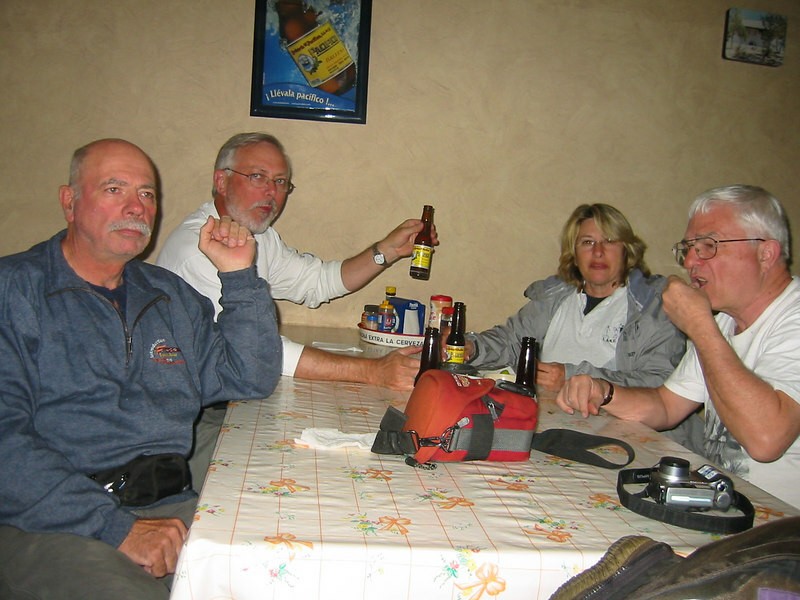 John, Tim, Maralan & Bill and 8oz beers. John rode the whole trip with a badly sprained ankle he got just prior to the trip. It looked painful but he never complained about it. He also gave me some good advice about squeezing the tank with my knees when things get dicey to feel more at one with the bike. It worked great and at the end of the next day my knee was actually stuck to the tank. It turned out the gum I thought I succesfully spat out while riding was now gluing my left knee to the tank.